Beginning with Naomi Sims in the sixties, there have been several black models who have broken barriers and pushed for more diversity in fashion since. From Beverly Johnson being the first black model to cover Vogue to Jourdan Dunn becoming the first black model to cover British Vogue in 12 years, we celebrate 8 models who prove that diversity is beautiful. 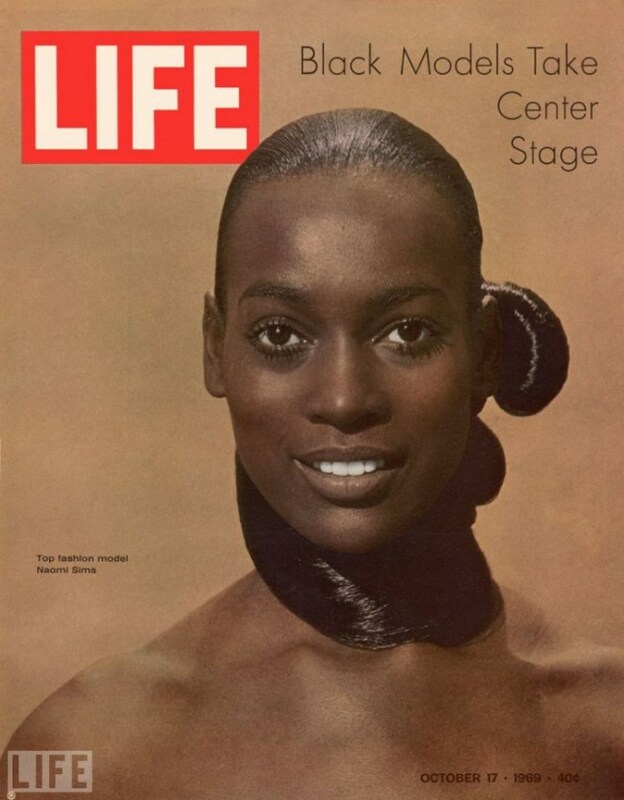 Naomi Sims was considered the first black supermodel. She was the first African-American woman to grace a cover of Ladies’ Home Journal in 1968 and in 1969 graced the cover of LIFE Magazine–making her the first black model to do so. In 1973, Sims retired from fashion modeling and created a wildly successful wig business. Sims also wrote books about modeling and beauty. In 2009, Sims died of breast cancer. 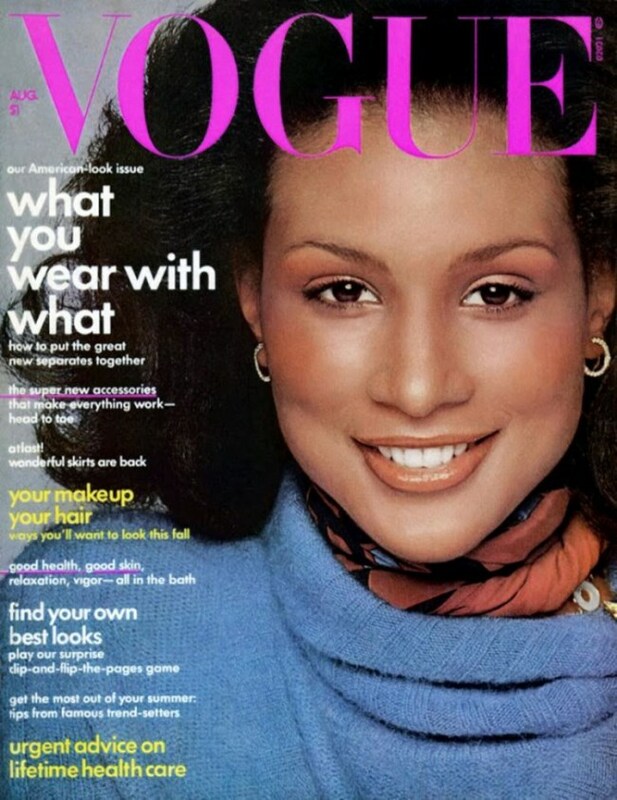 Beverly Johnson was the first black model to cover Vogue—landing on the magazine’s August 1974 cover. That following year, she was also the first black woman to cover ELLE France. Thanks to her historic Vogue cover, many fashion magazines and designers began to use black models after her appearance. Barbara has also made several television and feature film appearances. She currently stars on OWN’s ‘Beverly’s Full House’—a reality series about her life and family. Iman made her impact on modeling by being successful on the runway and print during the 70s–a time when models were usually only successful in one. Photographer Peter Beard discovered her while in Nairobi—and was immediately moved by her long neck, high forehead and elegant features. Iman has worked with legendary photographers such as Richard Avedon, Irving Penn and Helmut Newton during her modeling career. Yves Saint Laurent even dedicated his ‘African Queen’ collection to her. In 1989, Iman quit the modeling business for good. Since then she has become a business mogul with Iman Cosmetics and her HSN line called ‘Global Chic’. Iman is currently married to rocker David Bowie. Veronica Webb worked as model during to 1980s and 90s, and is credited with being first black model to land an exclusive contract with a beauty brand. In 1992, Revlon signed Webb as a brand ambassador making history. The African-American model has graced the covers of Vogue Italy, ELLE and Essence Magazine. In addition, Webb has also acted in feature films including ‘Jungle Fever’, ‘Malcolm X’ and ‘In Too Deep’. The British supermodel began her career in 1986 and still models nearly thirty years later. Campbell made history as the first black woman to appear on the covers of British and French Vogue as well as Time Magazine. In the late 80s, Naomi became known as part of the ‘Trinity’ along with fellow supermodels Christy Turlington and Linda Evangelista. In 2013, Naomi launched the modeling competition reality television show, ‘The Face’, in the US and Australia. And in 2015, Naomi starred in the hit hip-hop musical drama ‘Empire’ on Fox. Campbell stars as Camilla, lover of Hakeem who is far younger than her. You might remember that Tyra Banks was the first (and only so far) black model to land a solo Sports Illustrated Swimsuit Issue cover in 1997. But did you know that in that same year, she also was the first African-American woman to cover the Victoria’s Secret Catalogue and GQ magazine? Since her modeling days, Tyra has become known for producing and hosting ‘America’s Next Top Model’ which has several spin-offs worldwide. Alek Wek is a Sudanese model most well-known for defying beauty standards in the fashion industry. Beginning her modeling career at 18, Alek stood out for being dark-skinned, having African features and a shaved hairstyle. Many look up to Wek for showing a different kind of beauty that does not conform to Caucasian standards. In 1997, Wek appeared on the November cover of ELLE making her the first African model to appear on the publication. Kenyan actress Lupita Nyong’o has called Wek one of her inspirations growing up. British model Jourdan Dunn was the first black model to walk Prada in over a decade in 2008. In 2014, Dunn was signed as a face of beauty brand Maybelline New York. In addition, she was the first black model to land a solo cover for Vogue UK in over 12 years for the magazine’s February 2015 issue. Dunn has also been very vocal about discrimination in the modeling industry–including casting directors who only cast one black girl per show or even makeup artists who refuse to do models’ makeup just based on their darker skin tones.